@hooligan87 it's not that easy. Maybe he always passed our wishes to developers and devs simply ignored us. Or maybe it's not that easy to do in the game. There are lot of things to consider (money, time, people involved). You can't know that. So let him tell us about it. That it has passed on to developers or that it is impossible to do so for one reason or another. I don't know whether this has happened to anyone else, but my ultimate team account was completely wiped after my progress over the last few days. This happened after I logged out of FUT to quickly look over the kick off content for a few mins. I was told by an EA worker on EA Help that my account may return later on with no time provided. 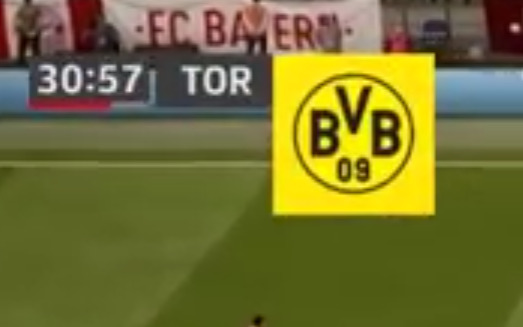 I hope Some broadcast package issues will be fixed in FIFA 19. It is in FIFA 18 except Generic and Premier League. It should be added to Generic and Premier League. It appear after kick off in FIFA 18. It's too late. It should appear immediately after scoring. Make 2 FIFA. A "FUT" based on the economic model of Fortnite. This one would be free more people will be able to play there, so more people will be able to spend money. You will add more cosmetics to pay update .. In the end you will earn more money than now ... no? Then the Second FIFA would be the real one. With only modes like the career manager / player or the season and pro club mode that no longer evolves. It will allow you to further improve these modes. Away fans are many than Home fans in Inter or Lazio home match. One thing fifa has never done is put stewards/police between the home and away fans on the segregation!! It would look so good if there was a line of stewards/police on each side of the away fans, and maybe along the front of the away end too. Looks silly when the fans are all as one in one stand!! Be a nice little visual addition to the game. Why not make a eWorld Cup Using the ProClubs Mode, instead of FUT? There's a Rumor about you guys adding a 5 vs 5 (like a street mode sort of ) game mode to FIFA 19. It would be nice if this was true because it's a mode most fans have wanted to see back in the game, just like it was available in the FIFA versions for Wii on 2011 to 2013. The most recent new mode, The Journey, was a great addition, but an awesome thing to add to the game would be to make the game mode available in Career Mode, which means, Use the Journey with our own completely customized characters, which this reminds me that the game needs more customizations for the characters like, for example, new hair colours, more hairstyles, facial hairstyles, eye colours, tatoo options, etc. The Pro Clubs Mode is one of the most used modes in the game. Still, it has been several years since a big update has come for it, apart from some kit adding for this game. A great thing to have would more club customizing options like deciding which colors I want for the kits shorts and socks, or customizing our own kits and crest with our own designs, just like in other sports games from other developers, our stadiums and adding substitutions to the game mode. these customizations would also be nice for FIFA Ultimate Team. The women's teams have been relegated to almost nonexistent in the game since adding them on FIFA 16. The Women's World Cup was licensed at the beginning, but from FIFA 17 and up the tournament has from FIFA Women's World Cup to Women's International Cup to Women's National Cup. This kind of shows a lac of equality between women's and men's football in the Game. With the Women's World Cup coming up in 2019, it would be a great thing to have the Women's World Cup back in the game, maybe with more teams available to play with. Another thing that can be added is women's club teams, and now, with the addition of the UEFA Champons League, you coud add the UEFA Women's Champions League and also teams from the NWSL. Speaking of adding Leagues, it would be an important addition if you could add second divition to several Leagues such as LIga MX (Ascenso MX), the MLS (USL) and license some important leagues like the Italian Serie A and Serie B. and the Chinese League, which is taking some good players to play there and we're loosing them in the game because the League is not available in the Game. Also it would be a pleasure if you could add more national teams, even if they're not completely licensed as other top national teams. The offline rosters have never been updated from the beginning of the game with transfers made on Deadline Day since I have been playing this game with the 2010 edition. I would be totally greatful to get the actual roster for the teams from the beginning and not having to edit them myself before I begin playing any other mode. In Career mode, the experience as manager or player is something that needs improvement. Sometimes, playing as manager, you get the player conversations, why don't you put these conversations with the players as the recently added contract negotiation experience? it would make it more realistic. Also for here, more customizing options for the manager, maybe customizing the character, and also, if I end my player career and decide to go as manager now, turn the player, with that same face, into the manager and not change it to one of the generic manager faces. As a player, a most wanted feature is participating in press conferences and speaking to the manager. Probably, a way of adding them like that could be turning the Journey mode into Career mode and maybe a sort of Open World, like in other sports games from other Game Developers. Sorry if it sounds too much asking, but, in the meantime, keep up the good work and thanks for letting us comment on the things we want to better in the game. Another Suggestion: Why don't you guys make the eWorld Cup with the Pro Clubs Mode instead of using the FUT? Where is feedback you promised @EA_Aidan ? Do I have to clap and bow? Will we get pitch notes on why certain features have not been changed and why they are terrible? Night lighting comes to mind. Would love to hear their insight on representation of how a football night game looks. I'd like to know why they spent about 3-4 days with career mode and why they're not doing certain things. They're quick to add loads of things to The Journey so why not career mode? And The Journey finishes this year. It's shocking. Disclaimer: this is only my opinion. They do not change Career Mode and do it decent and authentic because it can attract more players who currently play FUT. FUT is a big money maker machine. The more players are in there the more income will be. If that's the case then why didn't they just improve the career mode instead and use that to attract more players? One thing I do like about The Journey though is that we're seeing more licenses. MLS, La Liga and F.A Cup presentations are a welcome addition into career mode. Not much content has seen its way through, apart from cutscenes of player negotiations, but it makes it slightly better. But to add a whole new offline game mode and still neglect career mode is unbelievable. 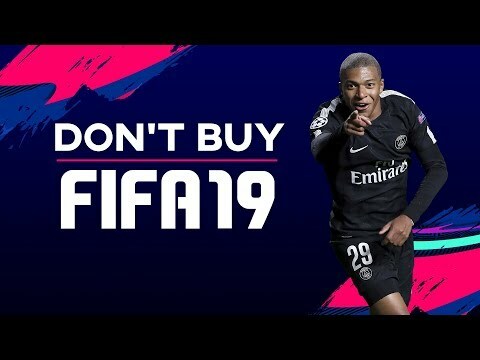 Career Mode makes no profit outside of the cost of buying the game. Only Ultimate Team makes money outside of the base cost of purchasing FIFA. I'd be interested to know the actual number of developers working on the different areas of FIFA, i wouldn't be surprised if it's a small number who work across all the different modes. Saw this the other day and he just makes so much sense of it all. Also quite hilarious to watch. What a very good video!! Carrer mode and Pro Club are worst year after year. Please EA makes Big annoncements at the Gamescom. If you believe in FUT FUT FUT, then they've got you covered. Everything else, is just small talk. I haven't play a minute on FUT. Fifa for me is career mode with Man United and Olympique de Marseille. I want immersion with scoreboards, real stadiums, sounds, etc,. Having all the 20th stadiums is very cool but when I play with Marseille who's partners like Real and Juventus, all playerrs have no scan or really old one like Payet, Thauvin, Mandanda. Ligue 1 Conforama deserves more attention. I'm french so it's a shame! Do you know if we can expect a new Pitch Notes anytime soon? It’s just my fair thoughts. Sorry if they offend you. That’s not the point. What are you doing is trying to shut me up. Frankly you don’t have any rights on this. That’s not good when everyone has rights to share his opinion. On the other hand I agree with you I spent too much time here. It has became clear for me about FIFA 19. So now I can go away.